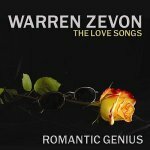 The Love Songs is such an unlikely title for a collection of work by the legendarily barbed Zevon that you half-suspect the very suggestion of it laid down the gauntlet for the compilers. And sure enough, the witty, world-weary sighs of ‘Hostage-O’ and ‘I’ll Slow You Down’ would be very unlikely choices for the standard slushy moon-in-june Valentine’s Day mix-tape. But Zevon was capable of much more than a biting putdown, and ‘El Amor De Mi Vida’ and ‘Keep Me In Your Heart’ – both of which were recorded when he knew that he was suffering from terminal cancer – are sincere, haunting expressions of affection. We have done our best to ensure the accuracy of the information on this website, however we cannot accept any responsibility for any subsequent alterations or for any error, omission or mis-statement in any material published herein. The views expressed by individuals in any review, letter, post or article within the website are not necessarily those of the editor, and while I’m at it; the inclusion of the advertisers does not mean that we recommend them, we certainly hope they give good service and we would like to hear from you if they don’t. Please respect the advertisers & contributors rights, please assume that all content herein is protected under copyright law, if you want to reproduce anything please contact the respective parties or us! I’m sure they are very nice and to my knowledge they don’t bite. © Copyright notice: Please note that any content we publish online is covered under copyright law, that means it is owned by Total Music Magazine (also trading as Total Music Online and TM Online) or by one of the magazine's trading partners, advertiser's or suppliers until such time as an agreement has been reached whereby the use of any part of it has been paid for either outright or licensed for a specific duration or use. Any breach of copyright will incur legal proceedings, they are very easy to instigate and are particularly hard to dispute. Please do not hesitate to call us with any concerns, we are actually quite reasonable. Total Music Online © 2019. All Rights Reserved.